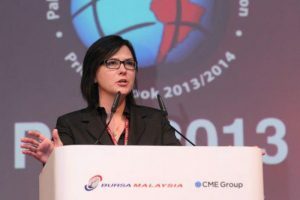 What will WA’s Agricultural Industry look like in 2029? Leading Australian Futurist Paul Higgins will present the opening address at Outlook 2018 on Friday 23rd November at the Perth Conference and Exhibition Centre. 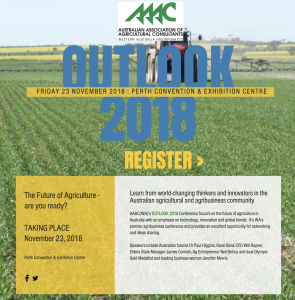 Outlook is WA’s premier Agriculture Conference and networking event hosted by the Australian Association of Agricultural Consultants (AAACWA). 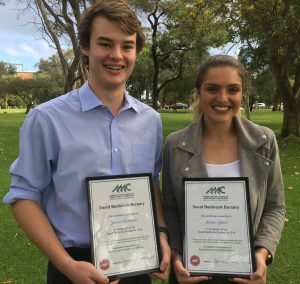 AAAC(WA) awarded its first David Bedbrook Bursaries in April 2018 to UWA student James Bidstrup and Murdoch University student Jamie Nykiel.